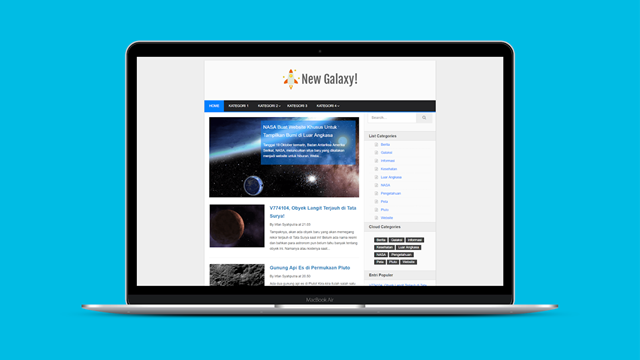 Description: New Galaxy Blogger Templates is a blogger template with magazine design. This template has a unique design that has two columns, with a large main content. With a clean and elegant design with blue and white colors that will make visitors feel comfortable. This template is perfect for blogs with the type of personal blog or magazine you want to earn more.